Cooking is one of our favorite things to do outside of landscaping, who doesn’t love a great BBQ? 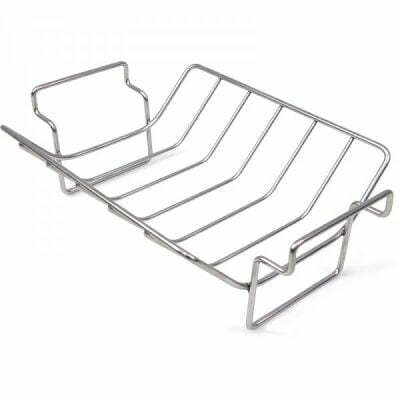 We are proud to offer a dual purpose, stainless steel Rib and Roast Racks for you to use at your next party, they can be used upright to hold roasts and poultry or can be flipped over to serve as an efficient rib rack. Don’t forget a quality knife makes all the difference. Using the solid engineering of the Big Green Egg we offer the Pro-Series Custom Knife Set that makes chopping, slicing and dicing an experience, not a chore. Spend more time enjoying your guests and less time prepping due to using a dull knife. 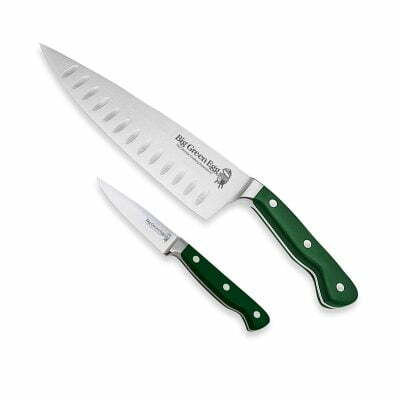 The set of two high-quality knives includes a 3.5 in / 9 cm Paring Knife and an 8 in / 20 cm Chef Knife.